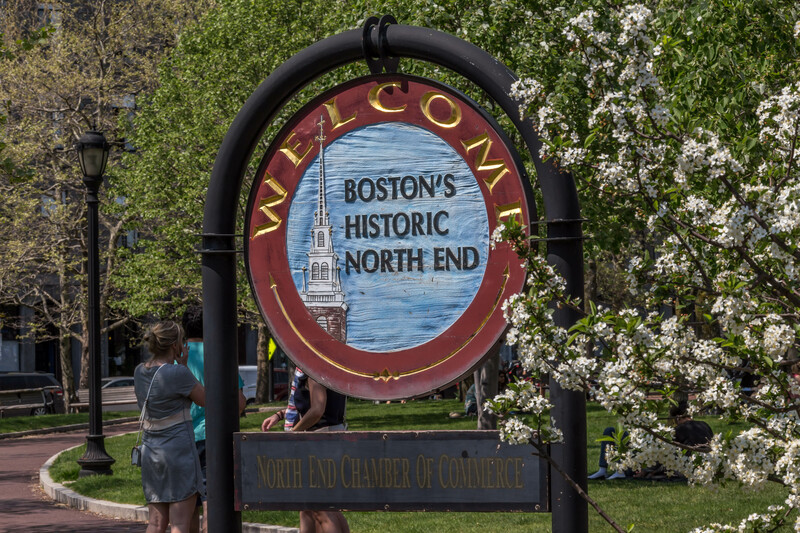 The North End is only .36 square miles, yet loaded with bustling business and personality. Known as the little Italy of Boston, it sports over 100 establishments including restaurants, pizzerias, cafes, bars, gelato and pastry shops including the original Mike's Pastry, and Bova's, a 24-hour bakery that fills the air with the smell of baking bread at all hours. Throughout the summer, Saint's Day festivals process through the streets, drawing large crowds behind the uplifted statues and marching bands. The northeastern section is part of the Boston Harbor waterfront, and features lovely parks, as well as some quieter areas of redeveloped housing and business. This bright and sunny corners unit apartment boasts 4 bedrooms, nice sized living room ,eat in kitchen with dishwasher and lots of cabinet storage! Hardwood floors throughout. Full bath with soaking tub. Top floor means tons of sunlight! A must see! This is great area in the North End. Plenty of restaurants, bakeries, coffee shops all seconds away. Can't miss this opportunity!